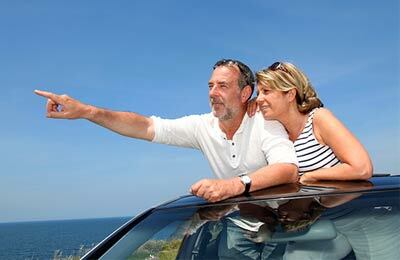 You can use AFerry to book a Commodore Cruises ferry to Italy, Croatia and Slovenia. Commodore Cruises uses two fastcraft ships to minimise the time travelling across the Adriatic Sea. AFerry always has cheap prices for Commodore Cruises Ferries and the latest special offers. 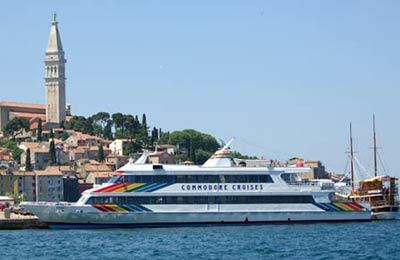 You can use AFerry to book Commodore Cruises ferries to Venice, Porec. See below for the latest Commodore Cruises ferry prices and sailing times. 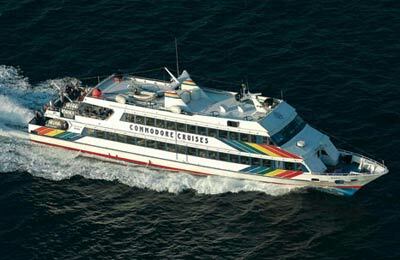 Click on your ferry route for a detailed Commodore Cruises timetable with arrival and departure times. The Commodore Cruises ship, the Fast Motor Boat Dora, provides two seating areas with relaxing aeroplane seating on two fully air-conditioned floors for you to relax in and enjoy your journey. Alternatively you can take in the beautiful sea view on the sun deck. You will find an onboard bar inside and outside serving refreshments and ice creams. Whether you use the Commodore Cruises Venice Piran ferry route, the Porec Venice ferry service, or any other Commodore Cruises ferry, you are bound to have a relaxing and enjoyable journey. How long before departure should I arrive for Commodore Cruises? Check in is at least 60 minutes prior to departure. Our ferry was cancelled last minute. They proposed us a bus ride instead. Bus meaning mini-van here. The trip was then 1 hour longer and much less comfortable. Yet we paid the same price. We almost missed our said bus because there was nothing close to an indication as to where to take ii. Communications with Commodore Cruises was poor considering they literally cancelled our ferry. It took us 6 emails to finally know what was the alternative option they where offering us. All very good. Smooth, accommodating and informative. I was able to book the route Venice to Porec online but when we arrived at Venice the ferry was going to Umag rather than Porec. We were told a car would be arranged to take us from Umag to Porec and then the ferry would go to Porec after Umag. We were the only people left on the ferry and arrived over an hour later than scheduled according to the online booking. I'm not happy about the fact I was able to book a non existent route online. The explanation from the ferry company was inadequate and did not match up with explanations from staff on the ground. When we (luckily) went to local agent to confirm sailing time found this vessel was not operating - we had not been notified of this. Thanks to local assistance we managed to organise re-booking for Venezialines 24 hours prior to dept. Ship was broken and we traveled by minibus. It was awful. There are small seat s and the airconditioner worked only in 2 modes (working or not). Girl from Japan (she sat next to us) lost her documents in the mini bus and she couldn't find them, because the driver did not work for the ferry company. It was a long road and I paid for this hell like I travelled in nice ship.